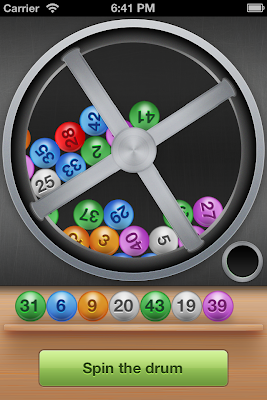 Steven Troughton-Smith: The Lotto Machine - A Random Number Generator with Physics! Jump back in. Just an idea to polish it off.